Tes-Amm India Pvt. Ltd. Tes-Amm India Pvt. Ltd.
As a recycler, we at TES-AMM recognize the complexity of environmental legislation our clients are facing. TESAMM India (Oragadam and Bangalore site) processes are ISO 9001, ISO 14001 and OHSAS 18001 Certified and have been audited and approved. At TES-AMM we value our clients and prioritize their concerns over IP rights and protecting Brand Name issues. TES-AMM’s core activity is in the recovery of precious metal from end of life, surplus and obsolete electronics. Our low emission, hydrometallurgical (chemical) process contrasts greatly from the method of incineration, which is taken by traditional smelters. We make sure we take care of our environment when we recycle, and our processes are equipped with the appropriate pollution control equipment system. 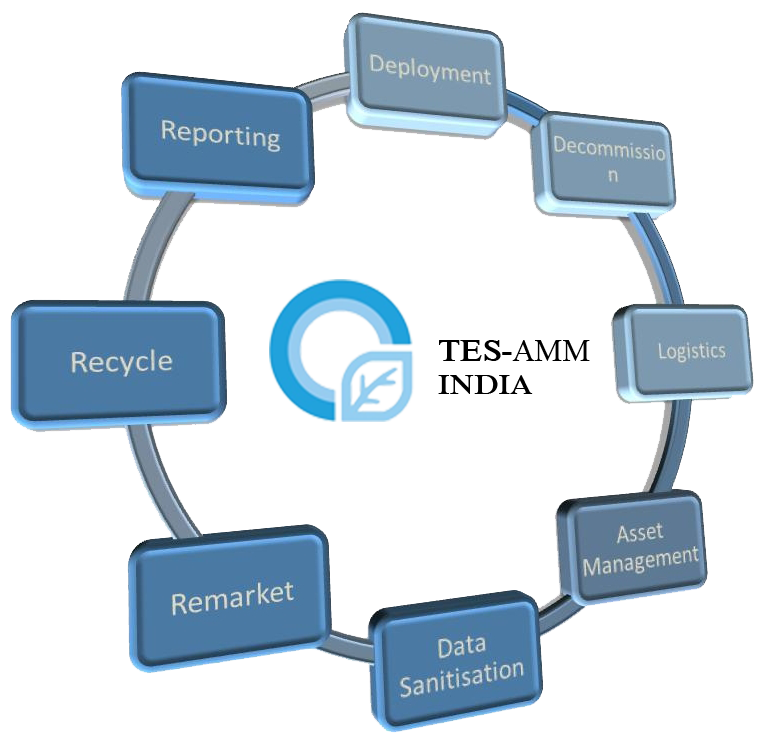 TES-AMM possesses relevant know how in controlling pollution in e-waste processing. Part of the service we provide is the safe and efficient capture of harmful solid, liquid and gas emissions through sophisticated 3 stage scrubbers, waste water treatment system and bag filters. TES-AMM, in partnership with Recupyl S.A, operates Asia region’s only Li-on battery recycling plant. Through this plant in Singapore, we are striving to process more than just e-waste. Our specialized mechanical – hydrometallurgical process allows for higher recovery and is environmentally superior and safer to pyrolysis (heat) or cryogenic (freezing) methods. TES-AMM has experienced phenomenal growth in our business. We believe this to be a testimony of our ability to deliver the right solutions that addresses the needs of our ever growing client base. We are pleased to be the approved recycling vendors for most well known Information & Communication Technology and other electronic manufacturers.